South Korea is building a whole new city, but it’s not for human inhabitants. Instead, it will be home to self-driving cars. The country is currently in the process of constructing a mock city to help facilitate the development of driverless vehicle technology. 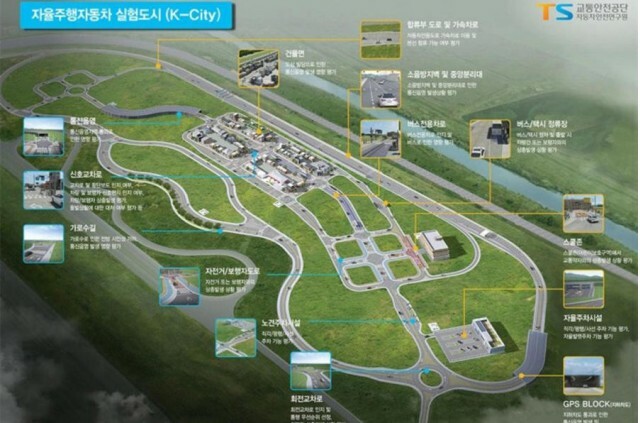 Local firms Samsung, Hyundai, and Kia have all expressed interest in bringing the self-driving car prototypes and technology to the mock city. When it’s finished, the entire project will cost the country roughly $9.7 million. The goal of the mock city is to run self-driving cars through identical scenarios multiple times, something not always possible when a self-driving car tests on public roads. South Korea also allows self-driving cars to use public roads. The 3.9 million-square-foot city will be the largest of its kind when it’s completed in October. The city will at first only encompass highways, but next year, dense urban areas will be added, bus-only lanes, and other challenges for self-driving cars will be put in place. South Korea hopes the facility will help make the country a mecca for development of the technology. However, in the United States, certain states are also gunning for a similar title. California, for example, has embraced self-driving testing. The state also has a dedicated self-driving car test site dubbed GoMentum Station. Some of the other states to allow testing of self-driving cars on public roads include Arizona, Michigan and Nevada. Amazon Fire HD 10 vs. iPad Air 2: Which is the better big tablet?